Newhall is the southernmost and oldest community of Santa Clarita, California. Prior to the 1987 consolidation of Canyon Country, Saugus, Newhall, and other neighboring communities into the city of Santa Clarita, it was an unincorporated area. It was the first permanent town in the Santa Clarita Valley. According to the most recent demographics data available from the Census Bureau released in December of 2017, Newhall shows it has 264,701 population. 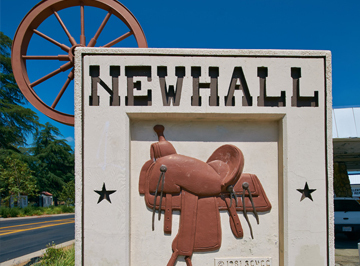 Named after businessman Henry Mayo Newhall, Newhall is home to the William S. Hart County Park, featuring tours of the famous silent movie maker’s mansion. Newhall is also home to the Pioneer Oil Refinery (California Historical Landmark, No. 172), the oldest surviving oil refinery in the world and the first commercially successful refinery in California. Over the years, Newhall has been the location for many movies, including Suddenly (1954) and Disney’s The World’s Greatest Athlete (1973). The TV-series The Magnificent Seven was also for the most part filmed in Newhall. The Lyons Station Stagecoach Stop was a few miles away from where the town now stands.